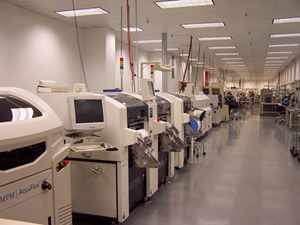 • Consignment, full-turnkey electronics and electro-mechanical assembly. • SMT and leaded electronics assembly to IPC and J-STD specifications. • ESD epoxy flooring throughout assembly area. • CircuitCAM manufacturing software for universal data importing and process documentation. • Panasonic placement machines for fast, repeatable, and reliable placement. • Yestech Automated Optical Inspection for consistent, thorough process inspection utilizing SPC data methods and techniques. 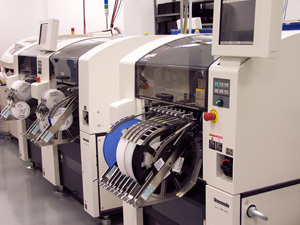 • Speedline stencil printing, reflow and wave soldering equipment. • Solid, dependable engineering support and customer service.